When it comes to the puzzle of improving citizen take-up of digital, many people talk of which needs to come first – top-down push (the ‘chicken’) or bottom-up user demand (the ‘egg’). But sometimes you have to short-circuit the process – and ‘build the chicken’. So thinks one NHS practitioner, at least – Adam Lewis, Programme Director, Citizen Identity & Personal Health Records at NHS Digital, the national information and technology partner to the health and social care system using digital technology to transform the NHS and social care. 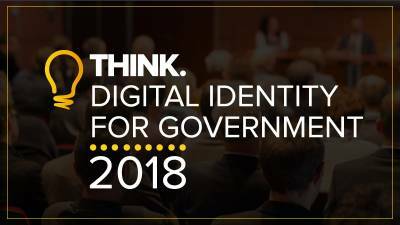 Lewis was speaking at last Friday’s well-attended Think Digital Identity for Government 2018 in London, where he spoke on how Identity is faring in the NHS context. Lewis began by reminding delegates that the concept of an ‘Empowered Person’ is central to the Five Year Forward View plan for NHS renewal – a way for patients to quickly find people to help them. Clearly, digital needs to be there to help address these gaps, but the NHS knows that users will only do things like video consultations if they see it as a “desirable alternative” to going to their GP or A&E. Therefore, he stated, the NHS knows it can only move to more digital ways of delivering care if trust is preserved – that patients feel safe and secure with alternative models, on a deep emotional level. Trust, then, needs to be bedded in – a key design concept of the way NHS Digital is building its new NHS Identity Platform, which will act as a hub for multiple identity mechanisms, he told the audience. And that’s where the chicken comes in – as Lewis and his team have decided that they need to build many new potential ways now for carers and patients to pick up when they are ready, which he says will be when they see it as useful/beneficial (and not for any other reason).